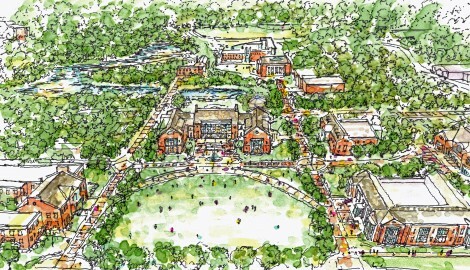 A rendering of what the campus will look like once construction is completed. Academic and Welcome Center, front right; Leo J. Meehan School of Business, center. 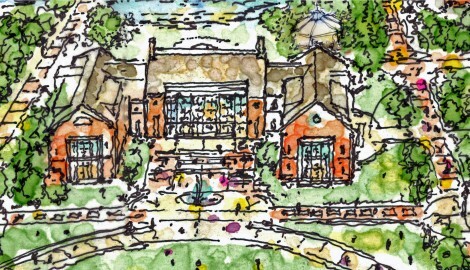 A rendering of the College's Academic and Welcome Center, which is currently under construction. 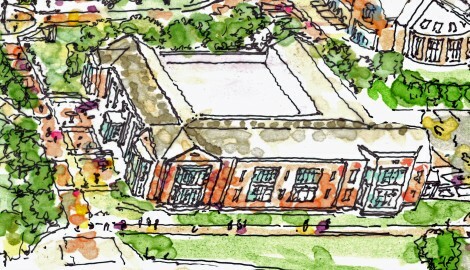 A rendering of the Leo J. Meehan School of Business. Stonehill has announced a major academic reorganization designed to further enhance the College’s strengths and better position it to connect students with emerging career opportunities. The 69-year-old Catholic college recently reorganized its academic program into the School of Arts & Sciences and the Leo J. Meehan School of Business. “This shift will mark a new era for the College as it leverages its strengths to attract and retain first-class faculty, develop and strengthen course options, and expand our diverse portfolio of innovative programming,” said Provost Joseph Favazza. 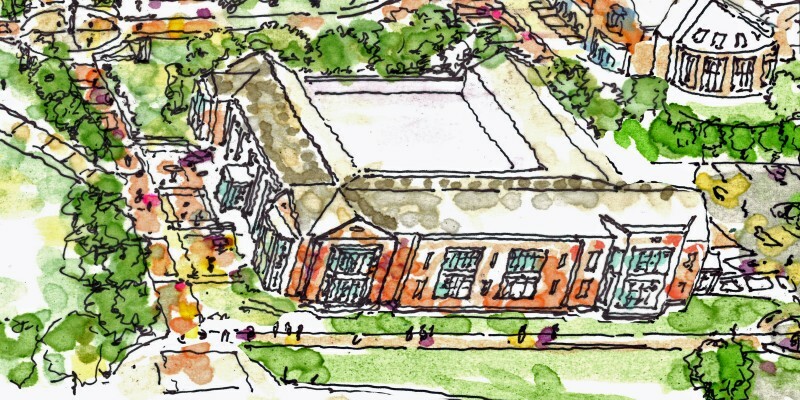 Along with this academic reorganization, the College is investing over $50 million in new facilities, with construction of an Academic and Welcome Center on which work has already started. 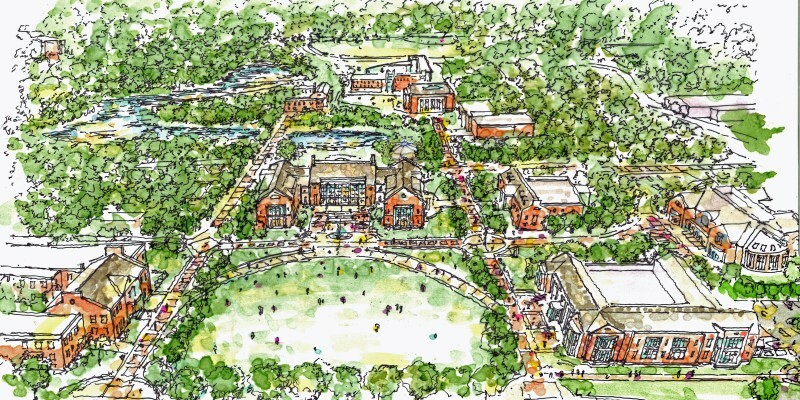 In spring 2018, the College will also break ground on a School of Business building. Located on the main quad, these two new buildings will transform the academic heart of Stonehill’s campus. In just six years, the College will celebrate its 75th anniversary. This upcoming milestone presents an opportunity to reflect on our challenges and successes, and to ensure that we enter the next quarter century ready to thrive in a constantly shifting higher-education marketplace. The reorganization accomplishes that goal, ensuring that Stonehill will adapt successfully in the decades to come. Given the trends in demographics, technology, higher education itself, and in the globalization of the economy, we recognize that change is imperative for continued progress. This is not our first major investment in 21st century technology and facilities. In 2004, the College saw a growing need to strengthen the sciences. By 2009, we had invested $33 million in the Shields Science Center, which has transformed the sciences at Stonehill and seen more of our graduates enter high demand fields such as biotech research, health sciences and chemistry. Having followed the trends and responded to the interests of students and their families, faculty, alumni and friends, we are now turning our attention to strengthening our already strong business program. A state-of-the-art space, the Meehan School of Business will do for business what the Shields Science Center has done for the sciences at the College. 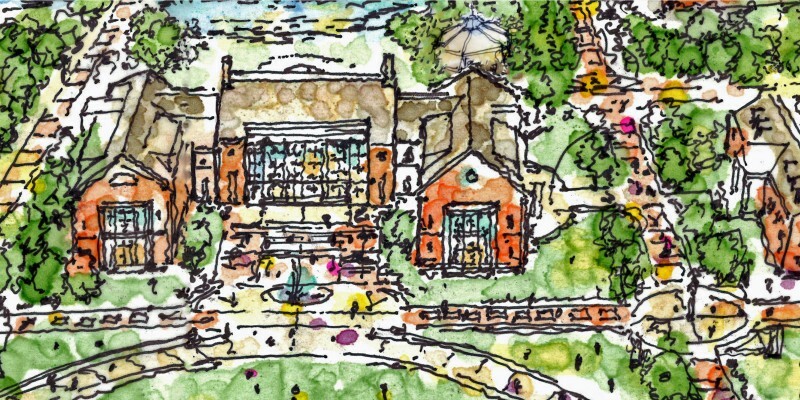 As the College has bolstered the sciences and is now in the process of doing likewise for business, it is critical to understand that a Stonehill education rests on a liberal arts foundation, which is why the College is currently building a dedicated $18 million Academic and Welcome Center. “We believe that all students, including those in the sciences and business benefit from a firm grounding in the liberal arts. Literature, philosophy, religious studies, ethics, history, the arts, and the social sciences are and will remain vital and vibrant at the College. We must adapt and evolve if we are to continue educating capable and talented graduates who contribute positively to their communities. Our two new schools will help us to do just that,” said Favazza. For nearly 70 years, Stonehill graduates have long made a lasting impact in law and government, education, arts and humanities, in STEM fields, and in corporate and nonprofit work. The School of Arts & Sciences brings together our core disciplines and departments to provide a comprehensive education that prepares each individual student for lives of leadership as critical and creative thinkers in their chosen field. Complementing our investing in the sciences, the School will be headquartered in our new Academic and Welcome Center with modern, technology-driven classrooms, a world-class lecture hall and collaborative workspaces for students and faculty. Encompassing accounting, finance, international business, economics, healthcare administration, management, and marketing, the Meehan School of Business will bolster Stonehill’s already robust business programs through courses that keep students ahead of a rapidly changing economy with an expansive portfolio of internships, externships, study-abroad opportunities, and new, additional opportunities for experiential learning and scholarship. This investment in the College wouldn’t be possible without the support of Stonehill alumnus and trustee Leo Meehan, the president and CEO of the W.B. Mason Company, for whom the building and school will be named. On June 2, 2017, Meehan and his W.B. Mason partners, John Greene and Steven Greene, made a $10 million commitment towards the construction of the school. “We are also deeply grateful to Leo Meehan for his extraordinarily generous $10 million contribution to the College and our School of Business,” continued Denning. “Thanks also to the support of so many dedicated alumni and friends, we are able to invest in our campus and build state-of-the-art facilities that will enhance student learning. Dean of the Meehan School of Business Debra Salvucci said the new building and reinforced emphasis on the best in business education answers a growing interest from Stonehill students in pursuing careers in business, healthcare, and economics. Dean of the School of Arts & Science Peter Ubertaccio said that with all of the liberal arts and science programs now under one banner, the College is able to more comprehensively steward the development of students and ensure they graduate prepared to excel in the workforce and to contribute to their community. “With the School of Arts & Sciences, we are poised to recommit ourselves to academic and intellectual rigor, faculty development, and innovative pedagogies that challenge our students and prepare them to solve problems under real-world pressures,” said Ubertaccio. Over the past ten years, under Ubertaccio’s direction, the Martin Institute for Law and Society grew in stature as a center for the study of politics and policy, and for its vibrant portfolio of public debates, conferences, speakers, and presentations. As the associate dean for Interdisciplinary Programs since 2014, he strengthened traditional interdisciplinary majors and minors while developing new ones and supporting faculty and students. As Chair from 2010 to 2014, he guided the Political Science & International Studies Department through a period growth and a major curriculum revision. He has also served as vice president of the Faculty Senate and is a respected media commentator on American politics. Teaching at Stonehill since 2001, Ubertaccio received a bachelor’s degree from The Catholic University of America (1994) and a Ph.D in politics from Brandeis University (2002). A CPA with academic experience at Boston College and Bentley University, Salvucci joined Stonehill in 1985. A focus on student success has been a hallmark of her career. Within a decade, in 1994, she won the College’s Louise F. Hegarty Award for Excellence in Teaching. Her role as a teacher and a mentor was also recognized in 2011, when she was named by the Massachusetts Society of CPAs as the Outstanding Educator of the Year. In 2013, she received the Outstanding Faculty Service Award in recognition of her many distinguished contributions to areas such as strategic planning, governance, and institutional accreditation. In 2007, Salvucci became chair of the Business Administration Department and, in that role, expertly guided the department through the complex process to meet the rigorous standards for accreditation set forth by the Association to Advance Collegiate Schools of Business (AACSB). The hard work of the department combined with her strategic leadership culminated in Stonehill’s successful initial AACSB accreditation in 2011. Stonehill is a selective Catholic college located near Boston on a beautiful 384-acre campus in Easton, Massachusetts. With a student-faculty ratio of 12:1, the College engages 2,500 students in 80+ rigorous academic programs in the liberal arts, sciences, and pre-professional fields. The Stonehill community helps students to develop the knowledge, skills, and character to meet their professional goals and to live lives of purpose and integrity.